The purpose of the Fayette County Senior Citizen Services Organization shall be to promote programs for friendship, recreation and to promote other services for senior citizens, persons 55 and over, and shall be responsible for the maintanance of the Senior Citizens Center. 1. Develop and maintain a county-wide consciousness of the real value of it's senior citizens. 2. Establish an attitude of personal worth in the hearts and minds of aging citizens. 3. Develop a spirit of camaraderie among the many senior citizens of the county. 4. Provide the aid and the facilities to ensure that no senior citizen suffers for lack of available necessities of life. 5. 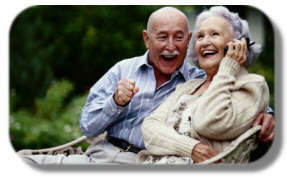 Establish ways and means to encourage and prolong the creative capacities of aging citizens. 6. Provide programs among senior citizens of Fayette County that encourage aging with grace and pride.